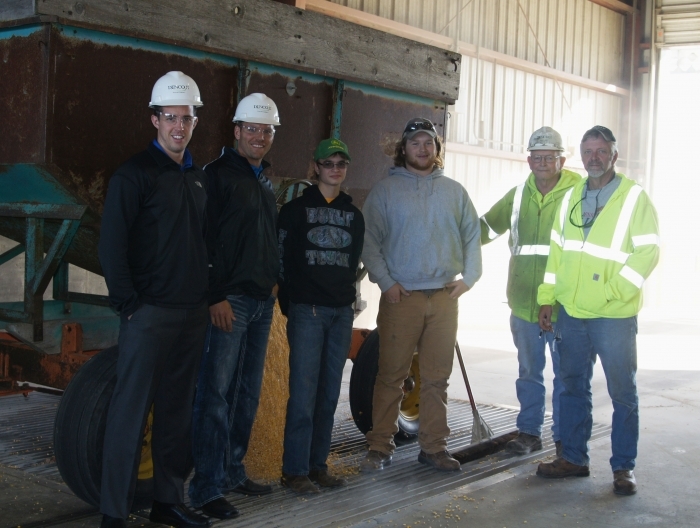 MAHS FFA unloading corn - pictured L-R: Carson Berger (DII Commodities), Mick Miller (DII General Manager), Jake Anderson, Cole Watzke, Dan Bratten (DII Utility Operator), Darwin Helberg (DII Grain Buyer) July 16, 2014 - Standing next to the newly installed flagpole are Jim Ekenstedt, Jason Resler, Carson Berger, Brandon Soine, Mick Miller and Brandon Nygaard. 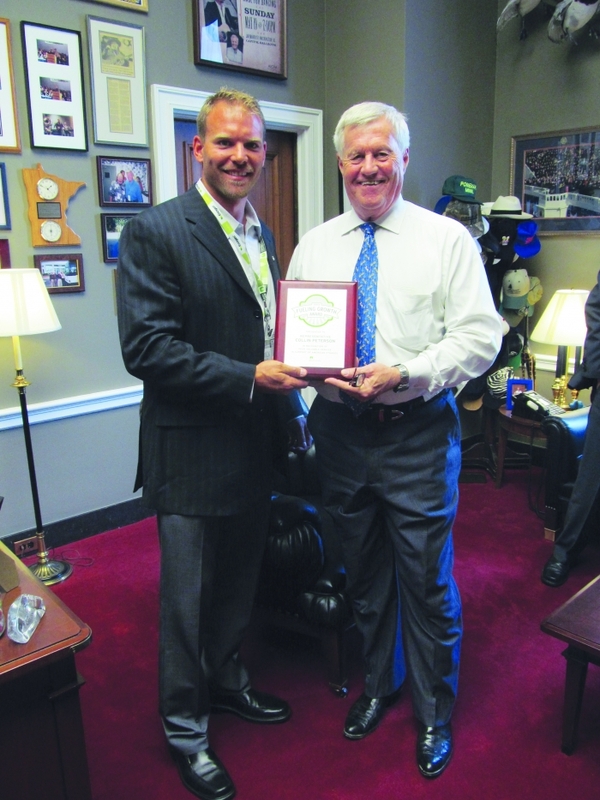 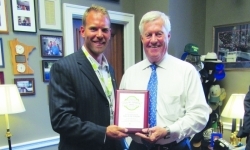 Mick Miller with DENCO II presents Rep. Collin Peterson with a Growth Energy award for his outstanding leadership and support of the Biofuels Industry. 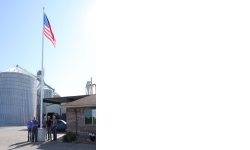 Mick Miller-DENCO II General Manager, and Bryce Jones of Growth Energy present a check to MAHS FFA members Rachel Moser and Tony Domnick. 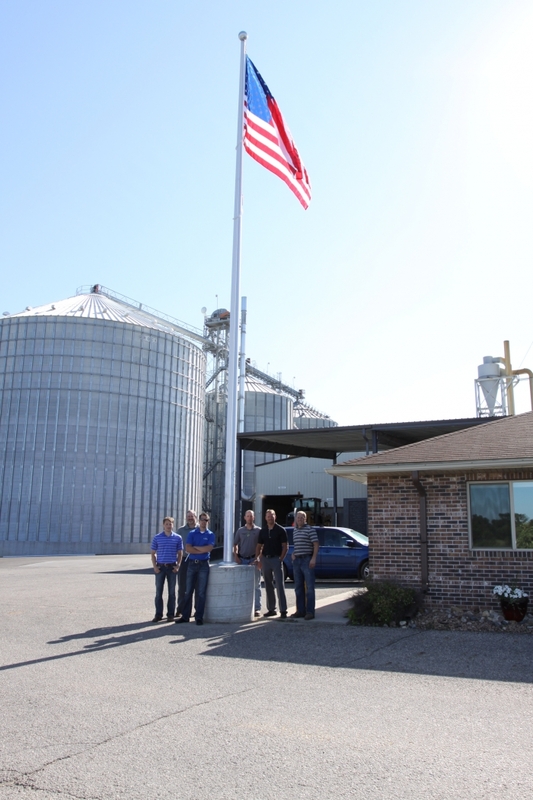 FFA members will be competing in the National competion in October with their presentation of "Food vs Fuel"